Diagnoses of asthma are growing at an alarming rate. This condition, which used to be fairly uncommon, is now a frequent occurrence in children and adults. Although there can be a genetic predisposition to developing asthma (and we can test you for the genes that increase inflammation), there are definite environmental triggers that are making so many people's asthma worse. 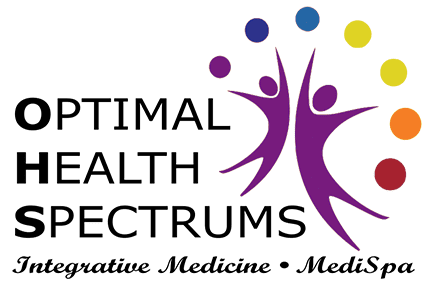 At Optimal Health Spectrums, our job is to find out what is causing your asthma to flare, and to try to get it under control without needing to rely on so many medications. Inflammation of the airways can be caused by many things, including pollutants in the air, mold in the home, work, or school environment, pollen in springtime, and cold temperatures. Cleaning up the air that you breathe is an important first step, by installing HEPA filters, avoiding cigarette smoke, and more, but the underlying tendency toward inflammation is something that medically we can do a lot about. Many patients with asthma are functionally deficient in several crucial nutrients, such as Vitamin D, Vitamin B12, and the mineral magnesium. 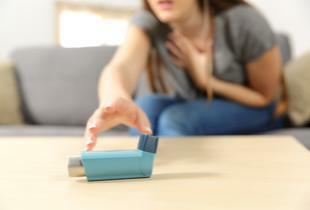 There are many more nutritional supplements that have been found to be helpful in asthma, such as N-Acetyl Cysteine, or NAC, which can help keep lung secretions thinner. Also, there are many natural anti-inflammatory supplements that can be useful in calming down the airway, including curcumin, resveratrol, and others. We can help you find the proper nutraceutical regimen that will help control your asthma while making you healthier overall. Chronic, underlying heavy metal toxicity is an issue for many, and it causes systemic inflammation which will make asthma worse. Testing for toxic metals and chemicals and detoxing them from your body can go a long way toward keeping your asthma under control. Making sure that you do not have any chronic, underlying infections is an important part of controlling your asthma. Avoiding other immune system irritants such as unnecessary vaccines is another helpful thing to do. If your immune system is already at war fighting chronic infections, it is often a lot more reactive to otherwise benign aspects of your environment. Balancing your bioidentical hormones is another important step in controlling inflammation. Proper testing and replacement of all of your hormones can help many asthma patients. 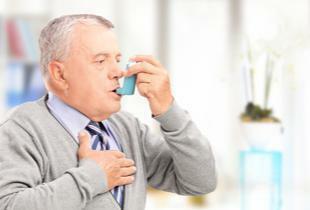 Avoiding foods that trigger IgE and IgG reactions is very helpful in preventing asthma attacks. Proper food reaction testing through blood is very useful. Skin tests are not helpful for detecting this kind of reaction. Just avoiding the right food triggers can make a big difference for some patients. Overall, a comprehensive integrative approach to asthma which tests for and treats all of the underlying triggers can be the difference between struggling to breathe on many different medications, and sailing through another year without a single asthma attack.